Three-quarters of the public think all cafes, restaurants and takeaway outlets should display calorie information on their menus, a survey has found. The poll for Diabetes UK found just 29% of people feel well-informed about the nutritional content of their food when eating out. Some 83% of adults think the Government should legally enforce traffic light labelling on all food and drink packaging to help them make decisions about their fat, saturated fat, sugar and salt consumption, the survey of more than 2,000 adults found. 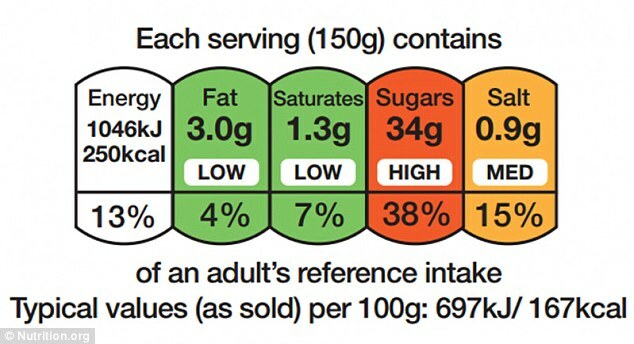 The charity is calling on the Government to commit to introducing mandatory front-of-pack traffic light labelling on all pre-packaged food and drinks, and is urging medium to large food establishments to include calorie information on their menus. Currently two-thirds of adults in the UK are overweight or obese, which is a significant risk factor for Type 2 diabetes. Helen Dickens, assistant director of campaigns and mobilisation at Diabetes UK, said: ‘People living with diabetes have told us that they want more information about what’s in the food and drink they buy, and effective food labelling will help make it easier for them to manage their condition well, especially when they’re out and about. ‘We also know that consistent and clear food labelling can help all of us to make informed and healthy choices. Earlier this week, Public Health England (PHE) warned that obesity is becoming ‘the norm’ as it challenged the food industry to cut a fifth of calories from popular family foods over the next six years. 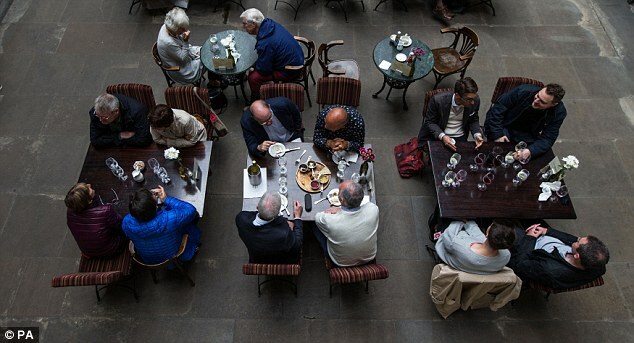 As part of PHE’s campaign to reduce the rising tide of childhood obesity, the health body has called on restaurants, retailers and manufacturers to slash the number of calories in foods by 20% by 2024. The call comes after PHE found that some children are eating the equivalent of an extra meal a day in calories. PHE said the food industry could cut calories by changing the ingredients of their products, reducing portion size or changing their marketing tactics. Izzi Seccombe, chairwoman of the Local Government Association’s community wellbeing board, said: ‘Pub, restaurant and cinema chains need to be displaying calorie counts so consumers and parents have a more informed choice and a better understanding of how healthy a particular snack, meal or drink is. This week’s best from the web: Dance like a G.O.A.T.